The Carabinieri are the national gendarmerie (military police force) of modern Italy. Notable not only for their dedication to policing, but also certainly one of the most well-dressed police organizations in Europe. 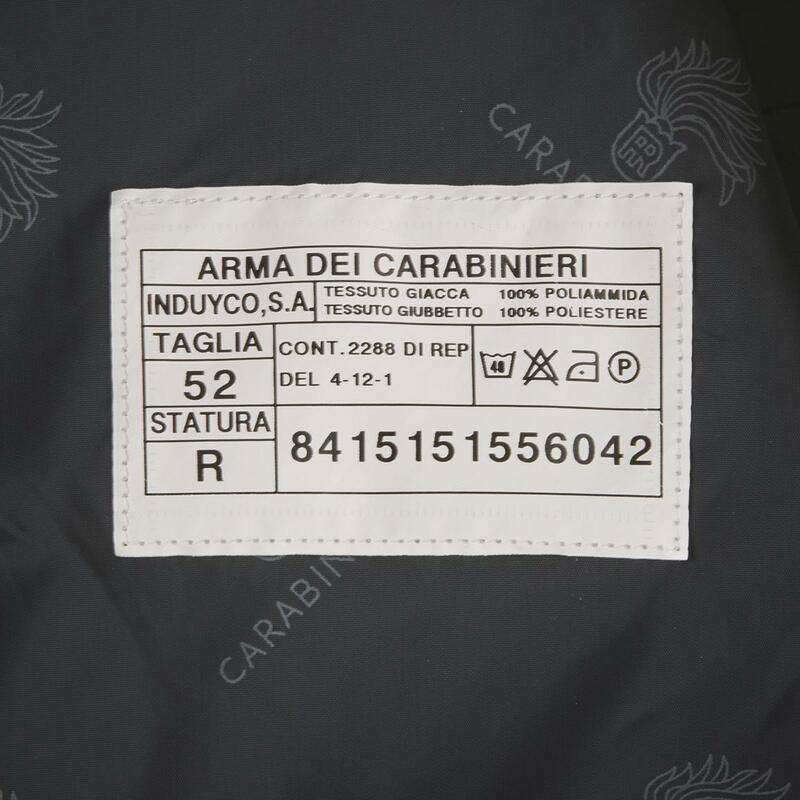 This Carabinieri Motorcycle Jacket, like all pieces of the Carabinieri uniform, was designed by famed Italian fashion house Valentino. Every detail shows an extra level of craftsmanship. Reinforced stitching and accenting run throughout, and all inside surfaces are treated to soft satin-finish linings monogrammed with the official Carabinieri logo. Two Complete Jackets in One. You get two complete Jackets you can wear 3 different ways. 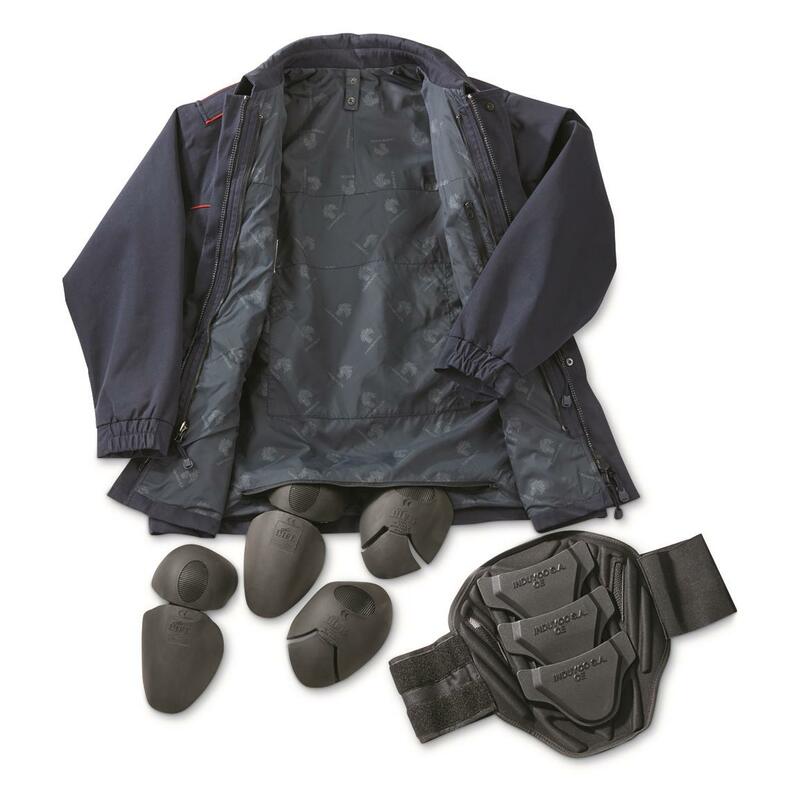 First, a heavy waterproof outer Jacket with protective pads to help guard against unexpected road hazards. 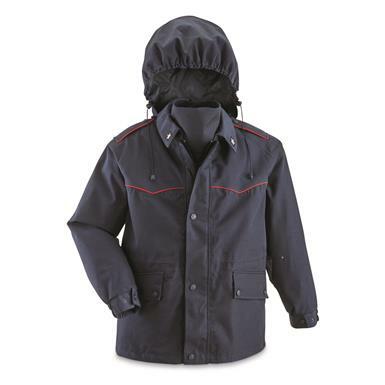 Second, an insulated inner Jacket you can combine with the outer for comfort in cold weather. 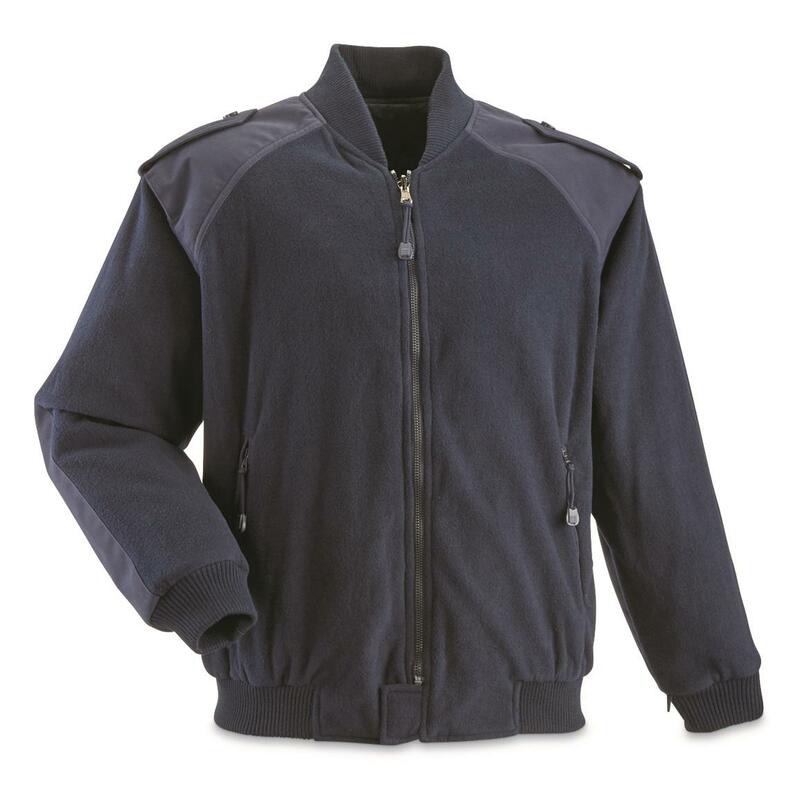 Third, you can wear the inner Jacket on its own for a stylish sweater in warmer temps. The inner Jacket zips into the outer Jacket, with snap-in keepers at the wrists and back to hold both together. The cuffs of the inner Jacket form snug inner cuffs inside the outer Jacket to keep out wind and debris during rides. Drawcords at the hood and waist let you adjust for a perfect fit depending on weather conditions. Built to incredible specs, made to go the distance on any mission.